First, using power point, 2 images were created, a selected tab and an unselected tab. 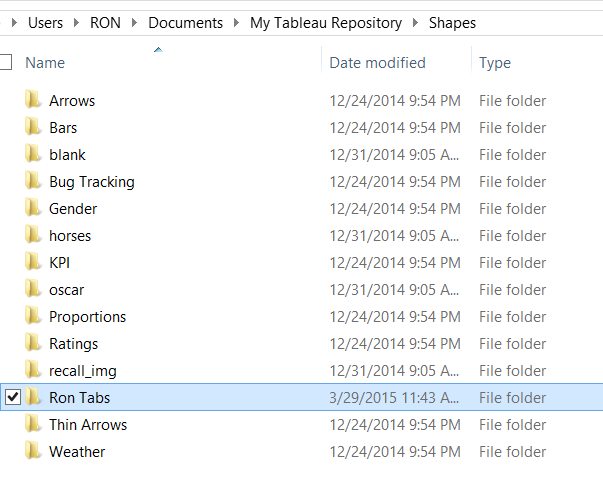 These images were added to tableau shapes repository. 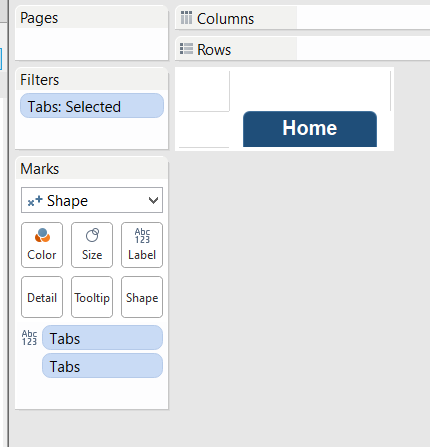 Then, in tableau, these images were used to create two sheets for each tab screen, a selected tab state and an unselected tab state. 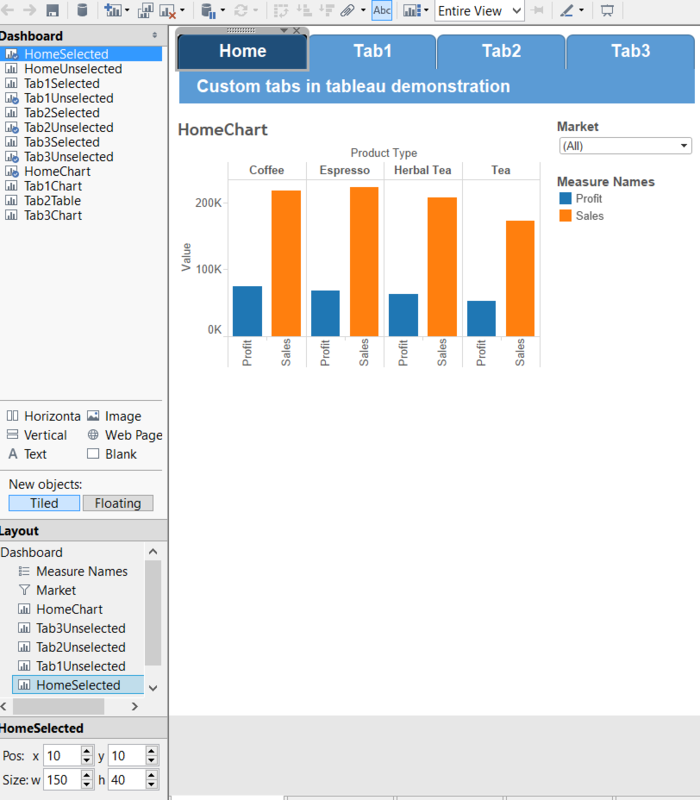 This entry was posted in Data visualization, Tableau and tagged Custom tabbed navigation in tableau, tableau custom tabs, tableau tabs. Bookmark the permalink. In your previous comment you mentioned about adding parameter. Can you explain that in detail on where should the parameter be added. Also can you please provide step by step on how to create the worksheet (Eg. HomeSelected). 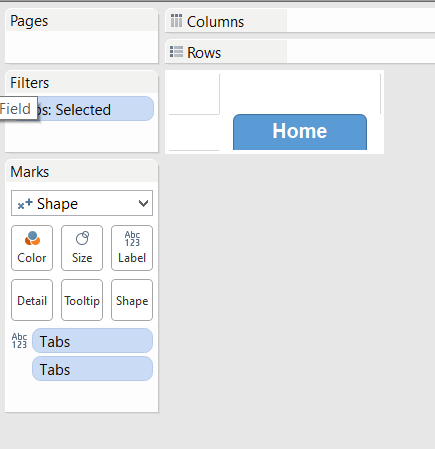 I tried to publish this to Tableau public and it displays but the tabs do not take you to a different worksheet. It works in Desktop 2018.1 though. 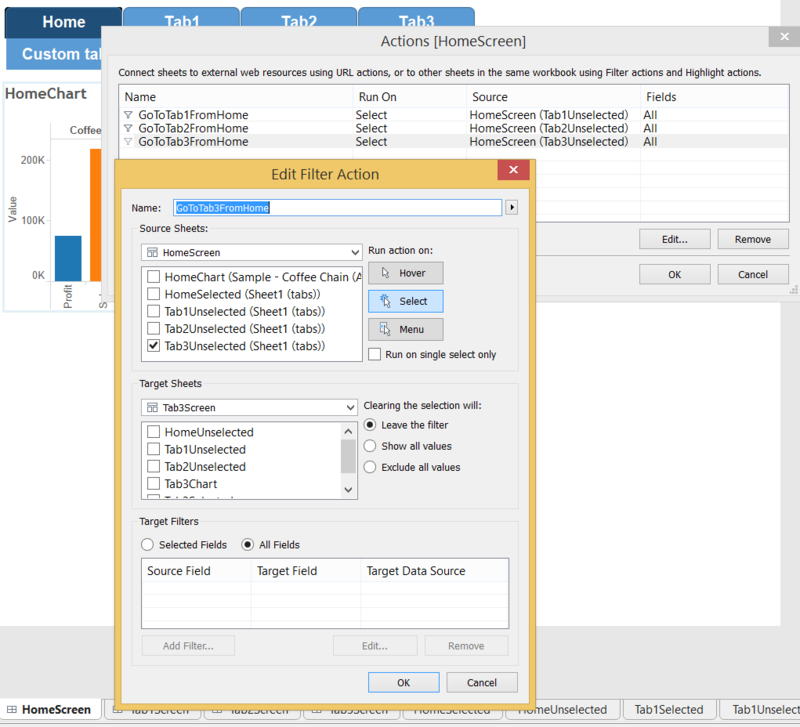 Is this a change in later versions of Tableau?